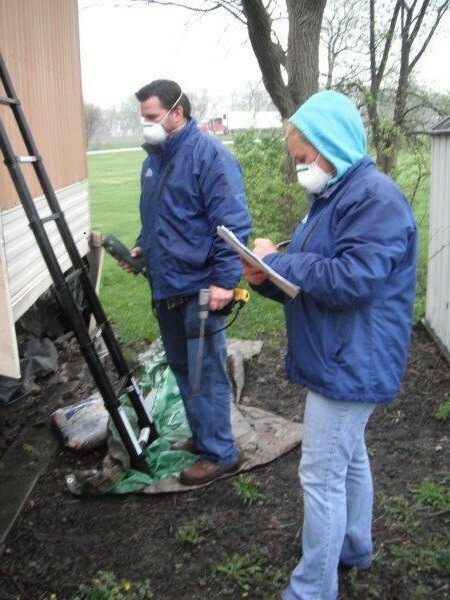 The Kendall County Health Department Volunteer Responders was created to offset the strain placed on the healthcare infrastructure during a major public health emergency or natural disaster. In order to provide a safe and secure county and region during emergency, the Kendall County Health Department Volunteer Responders will assist healthcare and emergency response professionals in reasonable capacities during a public health emergency. Prepare for the possibility of a bioterrorist event, pandemic influenza, natural disaster, or other wide spread emergency. In the case of such event, provide effective assistance to the community. Competent volunteers ensure the success of any disaster response effort. No government agency can handle a disaster on their own. Volunteer Responders will be asked to complete some basic training. During emergencies, Volunteer Responders will be assigned to a task based on their skill and knowledge; no volunteer will be expected to perform beyond their physical capabilities. It is expected that each Volunteer Responder will be dedicated to the training and tasks that are requested of them. Individuals interested in learning more about volunteer opportunities in the event of an emergency may contact the Emergency Response Coordinator at (630) 553-9100. Download a Volunteer Responder Application or Brochure. The services of licensed medical professional will be used to medically evaluate and dispense needed medication or provide medical attention. Medical professionals include: physicians, nurses, nurse practitioners, physician assistants, paramedics, EMTs, pharmacists, and mental health professionals. The services of non-medical personnel will be utilized to manage administrative duties, secure the facility and ensure safety, provide direction to the general public, and meet any other non-medical need of the public and the volunteers serving at the dispensing sites.